Onyx Boox, to start off comes from the House of Onyx International Inc. Usually, the users call it Boox and claim that it is different from any other eBook readers. Is it just the look and feel of it? Or does it have something to do with the way its eBooks is? Or is the software in it, making it stand out in the market of the splendid eBook reader? Before we understand these concepts, let’s take a detailed analysis of Onyx Boox devices. As with any reputed device in its category, Onyx Boox has been in the market for a quite a while now. They have, over the years, developed their devices to meet the needs of users. Ranging from simpler LED screens to coming to the E-Ink devices which bring the reading pleasure, Onyx Boox has them all. So it is important that we see how these devices have come along over the years. Our analysis follows. The first device that Onyx International came out with was i63ML. The attractive feature of this device was that you could access Google Play store right from within the device. A rare thing in those days, access to Google Play, gave users the choice to download apps they liked onto the device. To a comparison, even Kindle devices got this feature much later. It has a 1 GHz processor, 512Mb DDR and 8 Gb internal storage memory. That made the device both an eBook reader and a WiFi capacity devices. Onyx Boox i62ML (Moon Light) followed the highly praised 163ML device. In the industry, it was also given names such as FireFly, Angel Glow, or Aurora, in different regions. In this regard, i62ML Onyx Boox is a device which boasts of 800 MHz Cortex A8 CPU, 128Mb DDR, 4Gb internal memory, a 6-inch E Ink Pearl HD infrared touch screen, with 1024×758 resolution, 16 level grey scale and built in a front-light technology called Moon Light. What these offers are better than the usual devices which have a few backlight LEDS for contrast. Moonlight makes the reading this device a pure joy for everyone. 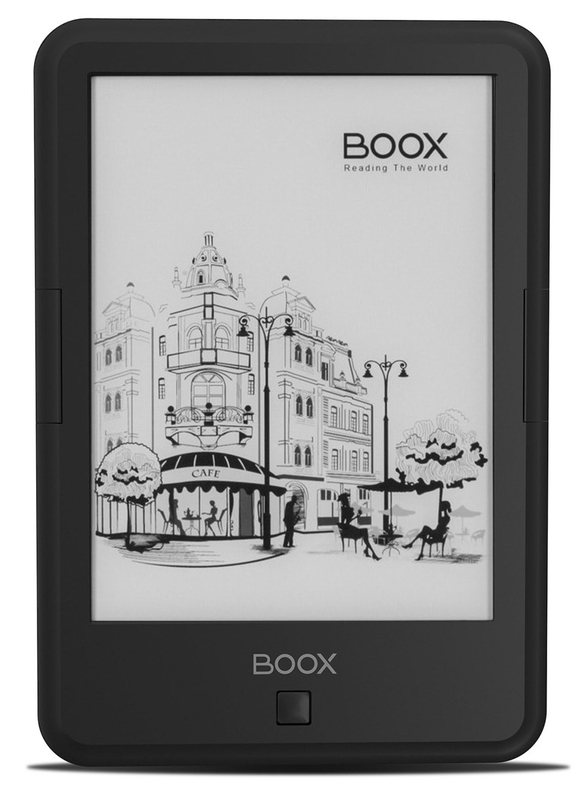 Onyx Boox M92 is a device with a 9.7-inch E Ink Pearl screen with electromagnetic touch, 1200×825 resolution and 16 level grey scale. It supports the Hanvon stylus for touchscreen navigation and notes taking. It was released in November 2011. 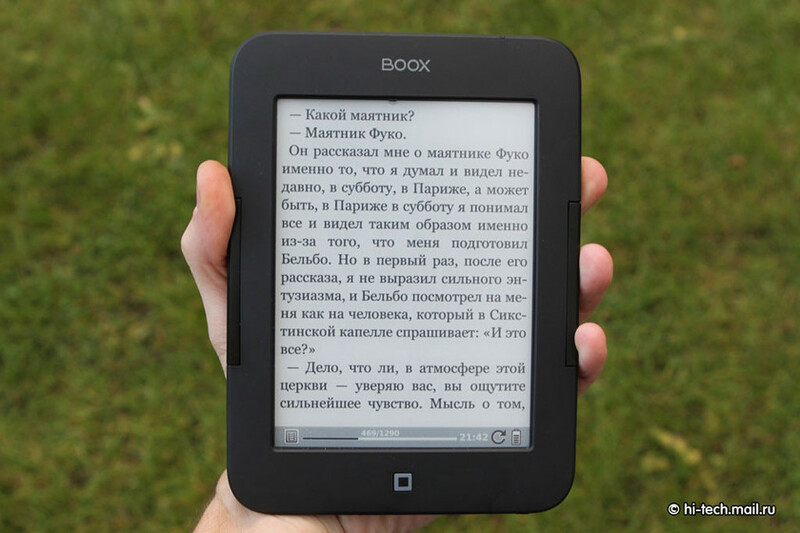 With an enviable inch screen, the onyx for all practical purposes arrives on the world scene of eBook readers. The Onyx Boox devices finally hit the mark on Android OS, when it came out with this device. C67ML comes with an internal working of Android 4.2.2. Coming to the part of hardware’s configuration comes with 6-inch, E-Ink display which supports a multi-support touch screen with 1024*758-pixel resolution. It came out with a name “Afterglow 2” with specifications of 1Ghz Cortex dual core support. However, you can still see that the device has no support for Google Play Store. However, the device brings support for MicroSD support via which users can load up apps within the device. The focus on providing better devices to eBook reading youth, got the company to take up T68 Onyx Boox device. With an almost 7 inches E Ink Pearl HD, and it runs on the MX6 ARM Cortex A9 processor. Thankfully, the device supports Google Play service, in addition to WiFi, Bluetooth. One additional feature which came about with this device was Amazon Kindle Store and has the text-to-speech capability. With this feature in the device, you can load up books faster without much effort in searching. Obviously, it shot up to a better pricing bracket with this device, but let us tell you, all the features make it pretty good buy. The latest entry into the enviable series of Onyx Boox is the i86 running smoothly on Android 4 operating systems. The touchscreen and runs on a super fast A9 processor, and with a solid storage capability of 4 gigabytes. It goes without saying, that the device is pretty fast for its category with an audio jack, Wifi and all sorts of connectivity handles. The factor which really makes the eBook reader stand out is its size of 8 inches of EInk Pearl display. Till now we have devices from Onyx Boox, which to the maximum is only 8 inches large. What we are now looking at is a different device altogether. We are looking at the wonderful eBook device which goes by the name, Onyx Boox Max. This thirteen-inch reader is defining a new change in the eBook reader market. Arguably, the number of devices which can boast of such screen sizes are few and far between. So, without further ado, let’s try to see what exactly cuts the edge for Onyx Boox. Although, Onyx Boox Max is not a category defining eBook reader, like Kindle Fire HD or Entourage eDGe (which if you remember comes with a dual screen, acting both like Tablet and the eBook reader). 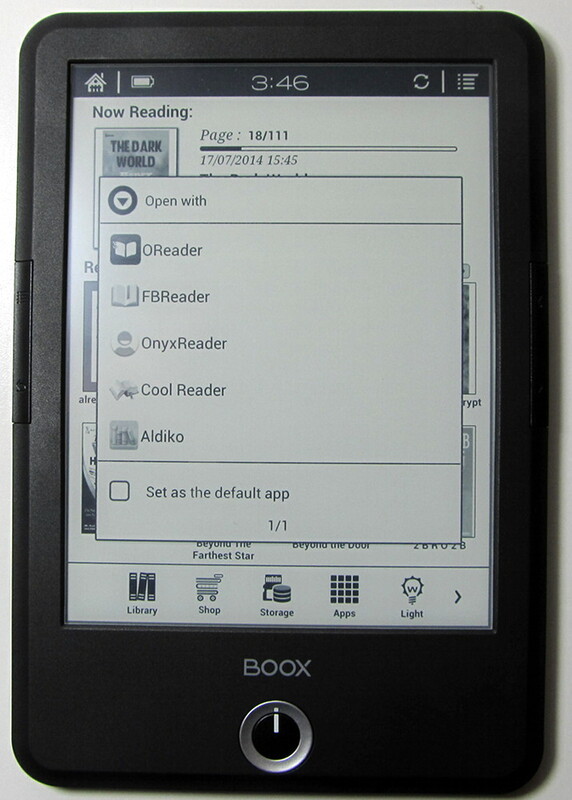 Some critics argue that Onyx Boox is not your conventional eBook reader. The fact is that the device doesn’t want you to take it for an eBook reader. At best, it is a pumped-up document viewer than an eBook reader. Since, the Onyx Boox comes with a 13-inch reading size, which is not ideal for reading for long. It is a task to balance it in your arms. However, most users feel that Onyx Boox is for making a tablet using population to use more eBook readers. The book reader comes with updates from Android 4.0 on 1GHz CPU, to make multi-tasking easy on this device. Obviously, the larger screen is best suited for reading content like PDFs, but since the device runs Android it can be used for all kinds of different things. The device itself comes with a stylus input with Electromagnetic pen touch with pressure brings natural handwriting and hand drawing experience. The Kindle Voyage from Amazon may be getting all the e-reader buzz since its release a couple of years, but it’s not the only premium eBook reader out there. When we talk of premium eBook readers, the options come in. The first ones that critics look at when picking their lot are Kobo Aura H2O and the more features Onyx Boox T68 Lynx. 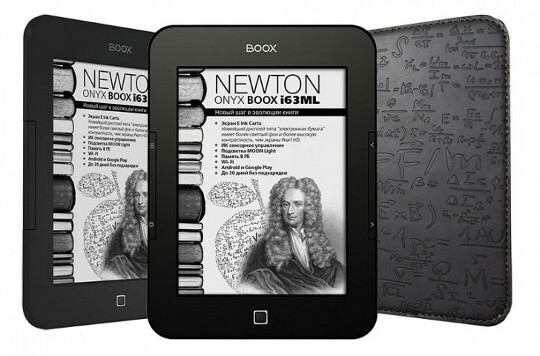 Onyx Boox Lynx is basically an Android e-reader with an almost seven inches’ screen (6.8 inches to be precise). Let’s see how these devices far against each other and crown the best premier eBook reader in the market. The Kindle Voyage has a polished design with a smoothly curved rear shell, a recessed power button, and a screen mounted flush with the front of the device. On the other hand, The T68 Lynx has a design which looks like Onyx slapped a thin grey box around their electronics, added a scalloped accent to the edges, and called it a day. 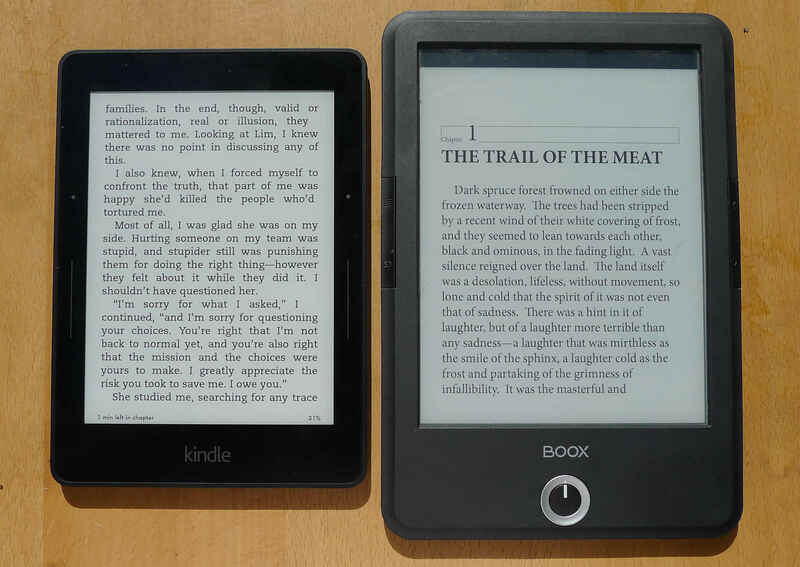 When we compare the devices on their looks, most would agree that Kindle wins the round. Kindle looks a bit sharper in its colours and designs than the Onyx offering device. However, The T68 Lynx’s design is simple and functional, which works for it best. Users may find that because of the plain design, the ease of reading and the fast reading capabilities work best for this Onyx Boox device. This is where Kindle goes ahead of Onyx Boox, in the Department of utilising buttons for turning the pages. Kindle for its part, has touch sensitive page turn buttons on either side of the screen. Comparatively, Onyx device goes for parallel placements of buttons. The placement strikes an odd place when you see them on the right side of the screen. The factor which makes it harder to use these buttons is that the Home/Back buttons on the left. Screen And Software – Does Onyx Pick It Up Here? Let us first look at the way Screen displays differ from each other. While both these devices have almost similar looking screen resolutions, The Voyage offers extra pixels. The figures look sharper and more responsive on Kindle Voyager. On the other hand, T68 Lynx comes with a seven inches’ screen with E-ink screen. However, the screen size of Onyx is better than Voyage and brings much difference. You can observe the difference when you pick up fixed-layout documents like PDFs. Within the fixed-layout documents, Onyx devices beat the round. But we still have the deciding factor of Softwares. Let’s analyse that too. The Voyage runs the latest version of Amazon’s Kindle OS, while the T68 Lynx runs Android 4.0 with Google Play and the option to sideload apps. This means that the Voyage is the better Kindle, but that is all it is. The T68 Lynx, on the other hand, can read Kindle ebooks as well run apps for Comixology, Nook, Kobo, and Logos Bible Software (just to name a handful). The T68 Lynx might not be as good at being a Kindle, but it is hugely better at being everything else, including supporting some features of the Kindle platform like audio and PDFs. Thus, Onyx Boox devices make a revolutionary change in the way we perceive and read our eBooks. With innovations along the way, the eBook readers have marked their niche. They appeal to readers who wouldn’t mind a bigger, all feature loaded device. For everything else, there’s the Kindle always.